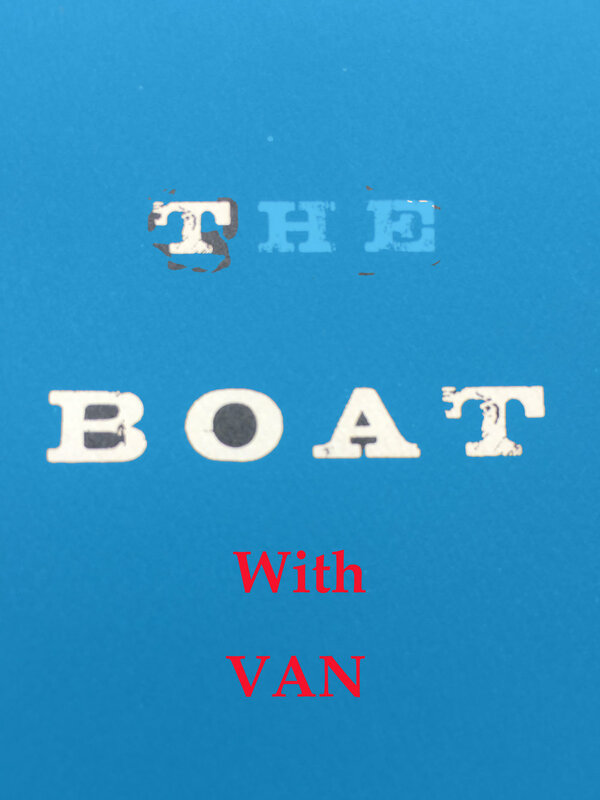 So, last Wednesday, I went down the river with Van, for the first time. He was friendly, but I barely knew the guy, so I was being careful. What I’m really trying to say is, this is the first time we’ve been fishing together. He had a steel fishing pole. I had a branch with a line tied to it. It was a fishing pole that my older brother Nan had given to me. I didn’t mind. But I also wanted to row the raft—I think he wanted to row the raft too. We had picked up the raft from a dilapidated tackle and bait shop, the only one next to the river that carried live worms. The freezing cold water rushed against the raft’s wooden boards and streamed across the deck. We didn’t bring life vests. He wore a faded camo jacket with medals dangling loosely from the pocket. His corduroy pants carried thick mud on the ends of his pant cuffs. The mud sometimes would slip off and fall into the gnarled laces of his hunting boots. He said, he had worn them for years. Good for running away from the Vietcong, he said with a smile and a laugh. The second Vietnam War happened again, and now we were running away towards Cambodia. We couldn’t afford to buy tickets for Saigon’s fishing boat, because we worked as farmers and used our hands to pick sweet corn from golden fields that have now been burned down by Americans torching them down with flamethrowers. Van sighed as the raft went down the river, looking at his wrist as though he were checking the time on a rusted watch. He touched the red hand mark covering his wrist, as though it were a tattoo drilled into his skin from a drunken night. The wooden oar was between us. When I grunted. He grunted louder. When I chuckled. He laughed. As I shrugged. He winded up his arm, as if he wanted to smack me. I’m from the country. He is too. I’m from the South. He is too—I just don’t know where. People knew me. And people knew him. But we never met until today. Anyhow, that’s another story. So, we were going down the river for about an hour, when we saw an alligator. It was dark green with one bulging eye like a cyclops. The alligator rushed forward at a rapid pace. I looked at Van. He looked at me. I took a deep breath. He coughed. I could smell the cigarette smoke on his breath from Lucky Strikes. And everything changed in that moment. I sympathized with him. Because my brother Nan used to be a smoker. Big smoker. And he passed. Under the soil. Forever. I looked at Van. He looked at me. I gave him a smile. His face looked screwy for a moment. And then it changed; he cracked a smile, one that I trusted. “Friends?” I asked. “Friends,” he said. We both spat in our hands, then shook our hands. “Use my fishing pole,” he said. “And you take the oar,” I said. We both picked up our weapons. The alligator came rushing right at us.